This exciting project is the answer. Make a positive difference to people's lives in disadvantaged areas of Nepal. Guaranteed lowest Nepal program fees in the US – starting at $199. Fees paid directly to host families and projects – no middlemen. Are you interested in teaching English to Buddhist monks and want to do so in a fascinating country? Global Crossroad offers one of the most affordable volunteer teaching English in Nepal programs for someone just like you! More than 150,000 Tibetans live in exile in India, Nepal, and Bhutan. Of those exiled, nearly 20 percent live in Nepal, where they are now free to practice their religion and rebuild their cultural heritage. As a result of this, there are several large monasteries in and around the surrounding mountains of Kathmandu where monks live and devote their lives to Buddhism. As of lately, with globalization and other developments, there is a great need and desire for young monks to learn English. As there are no English teachers in the monasteries, our volunteers stay there with the monks and teach daily classes. Volunteers really enjoy this volunteer abroad teaching English to Monks in Nepal project, as they not only get to learn about, observe, and even participate (if they choose) in the culture and Buddhist practices in the monastery, but they also find the monks to be enthusiastic students and incredibly appreciative of their work! When you join a volunteer trip teaching English to Monks in Nepal, you will provide basic conversational English instruction to young monks. 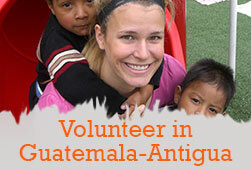 Volunteers also organize games, painting, drawing, and other creative activities. As a unique facet of this placement, volunteers will witness and participate in traditional Buddhist rituals. Gaining insight into the Nepalese language and culture is a good idea when completing volunteering work teaching English to monks in Nepal. You might want to consider enrolling in our one week Nepal Language Studies & Cultural Immersion program. There are no specific qualifications needed to join our volunteer opportunity teaching English to Monks in Nepal. However, volunteers must be respectful of the monks' high social status and their attention to commendable life rules. Only very focused and disciplined volunteers should join this project. All volunteer programs in Nepal start every Monday. Though we allow for flexibility due to travel constraints. 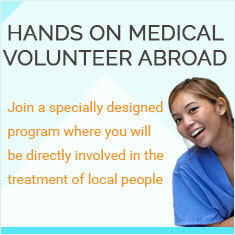 Global Crossroad is committed to offering quality volunteering in Nepal programs at the world's most affordable price. We strive to keep our costs low. The humanitarian side of the business is our passion. Global Crossroad's volunteer program in Nepal application and registration fee cost US$299. In addition to the application fee, you are required to pay a weekly program fee. You will pay your weekly fee directly country coordinator. And he will distribute it room, food, and project. This ensures the transparency of your fee. And This way, the fees that you pay will benefit those who rightfully deserve them, and not for company profit. The volunteer trip to Nepal program fees will cover expenses that will begin on the first day of the program (usually the first or third Monday of the month) to the last day of the program. If you arrive before the first day of the program or you decide you stay beyond your programs last day, you will be responsible for the additional expenses. What is a typical day look like when volunteering teaching English to monks in Nepal? 9:00-11:00 After early morning of puja, prayers, chanting, and other cultural studies, the actual school starts. In the schools, the monks study the regular subjects like math, English, science (in addition to Buddhism) so you will start teaching. Usually monastery hosts 50-150 monks of different ages (6-16 years) so you can teach any grade level of enlish you want. 11:30 AM-2:00 PM: time for launch, praying, chanting, and study of Buddhism. So volunteers mostly take a rest during this time period. Or you can create lesson plan for the teaching. Please note that this schedule may differ from monastery to monastery. What is the distance between my accommodations and the monastery? What are the commuting options? When doing volunteering work teaching English in Nepal, you will usually reside at the monastery. There are a few exceptions in which females aren’t allowed to remain after sundown. In this case, you will reside with a host family and will live walking distance to the monastery. The country coordinator will be in charge of setting up your accommodations. What is the name of the monastery? We are working with many monasteries in Nepal. All of the information regarding your placement and accommodations will be sent to you upon the completion of your registration form. What are the ages of the Monks that I will teaching when volunteering to teach English to monks in Nepal? The age of the monks depends on the particular monastery in which you are appointed to. Typically, the monks who you will be teaching range in age between 6 and 16 years old. What is the average number of monks in each monastery? How many monks are typically in one class at a time? A monastery usually has between 50 and 150 monks. A normal class size is between 10 and 12 students. Am I going to be teaching alone or will there be others assisting me? Will I be assisting another teacher? When you volunteer abroad teaching English to Monks in Nepal with this program, you will create your own lesson plan and teach basic conversational English. Many times, 2 volunteers also teach together. Is there an existing curriculum that I will be following? How many hours a day can I expect to be teaching? You will typically be working Monday through Friday and teaching 2-4 hour a day. For the rest of your time at the monastery, you are invited to sit in the chanting and prayer sessions. Is this program available year around? Due to winter activities, the volunteer abroad teaching English to Monks in Nepal program is not available from the last week of December to the second week in February. Please confirm this with us prior to applying for the program. Are there any other details that are necessary to be aware of at this point? Volunteers teaching English to monks in Nepal should be aware that life in a monastery requires a lot of discipline. There are a lot of customs and habits that must be observed and respected. For example, monks are not allowed to wonder around the area, outdoor games are prohibited, and alcohol and smoking is strictly banned.